Punkt Kunst is a collaboration with the town’s Sørlandet Art Museum. 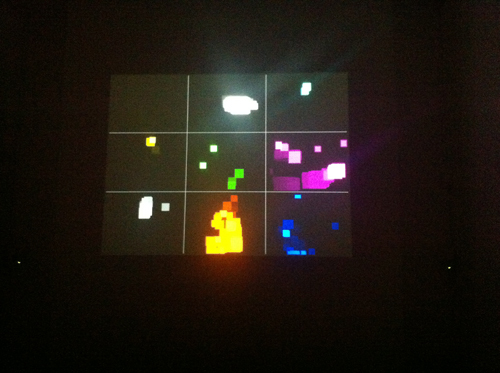 Thirteen international artists were commissioned to create sound sculptures inspired and in direct collaboration with a series of visual works at the museum. […] Hence I have decided to invite you all to take part in a new work to be shown as installation at Sørlandets Kunstmuseum in Norway (www.skmu.no), end of August 2007. Make a ‘Mags-doll’ and send it to me! Knit or sow to your hearts content; improve what needs to improving, fix what needs fixing – straighten out my fashion-sense (kimono or tacky norwegian knitted sweater is my personal fave) get the hair right finally, enlarge the whatever parts that may need enlarging, make 80’s Mags, fat Mags, bearded Mags (ouch! ), with or without instrument, whatever and however you want! Those who sent in a doll were promised a CD including the audio from the exhibition, which was accompanied by a personalized letter from Magne thanking each person for participating. Still, from a room where a collection of dolls are heard in chaotic conversation with each other to more soothing ambient landscapes, even a short look at the exhibition demonstrates, once again, how Punkt continues to reinvent what music is and can be, and how it’s possible to integrate music naturally with other art forms to create something fresh and unprecedented. 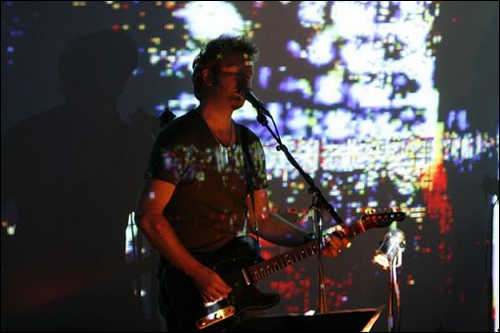 One art work that is worth pointing out with regards to the pupparatjik workshop is “Mange Furuholmen discussing Leonard Rickard” – the project was made for a group exhibition at Sørlandets Kunstmuseum during “The Punkt Festival for Contemporary Art and Music” in 2007. 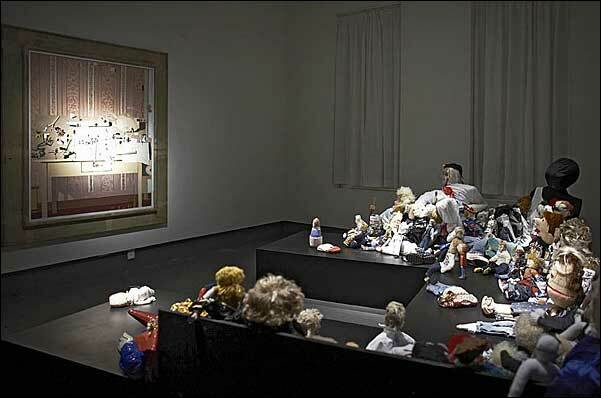 The installation showed approx.150 different puppet versions of Magne F, created by fans and arranged around a painting by Rickard titled “Tired Model-airplane Builder” (1985). 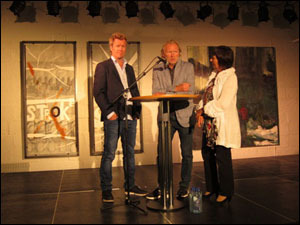 The puppets were accompanied by a quadraphonic recording of multiple Magne Furuholmen voices discussing art with himself, art in general and in particular the Leonard Rickard painting. 05/05/2007 – are we clear?! 05/07/2007 – Kjendis: Send meg en Magne-dukke!